That’s often the experience for those who are, as I was, conditioned to view action and (seemingly forward) momentum as good, and stillness or standstill or in-between as being bad, indicating that there is something wrong, when neither is the case. It’s simply a phase, a lilypad, part of a cycle — and a potentially rich and fertile one at that, though the not-knowing facet of it can seem unbearable at times. I’ve experienced that very potently, too, particularly in the years following a near-death ‘event’ that occurred in late-Autumn 2000 and sent shock waves rippling through my life for years after. I’ll likely be sharing more about that life-altering experience from August 2000, since it started spiraling back up in 2015 and since, for various reasons. But I’ve experienced that standstill or in-between eco-tone since then, too, as I’ve lived into the unfolding spiral of life since The NDE Event itself. As much as it frustrated me, none of my attempts to ‘go back’ to an old comfort zone seemed to work, and no attempts to impatiently force a new clarity were very effective. Both ego-effort and resistance proved depressingly futile. The Queen of Disks, painted by Lady Frieda Harris for the Thoth-Crowley Tarot. One image that really captures this time of ‘in-between’ is the symbol-rich Queen of Disks painted by Lady Frieda Harris for the Thoth tarot deck. In this card, the Queen of Disks is at a standstill, but her pause is not without purpose. She sits on her throne, looking back over the barren valley through which she has just journeyed. The desert seems to stretch on forever into the horizon now behind her. It has been a long, trying, and often exhausting journey for her. The desert, like the ‘dark forest’, is that cycle of life when what has come before has dropped away, and the ‘new life’ and renewed clarity and motivation have not yet materialized. Our Queen of Disks looks out over the meandering path by which she’s come — one that seemed to zig zag along without direction, until she sees the whole of it from her current vantage point. It’s led her to where she now sits. And though it’s a desert, and her path was meandering, she now sees the many trees, grouped in threes — a pattern that she hadn’t noticed when she was laboring through the journey. This tells her that the Feminine, the Great Goddess, had been present with her throughout her desert-valley initiation. She can now more fully realize that her desert-valley journey has been an initiation into the Feminine, presided over by the Great Goddess herself. 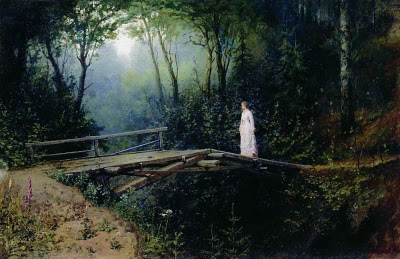 In her current position, new vegetation grows around her, symbolizing the energy of new growth that is gathering, perhaps because she has taken the time to be still enough to let the greening energy gather. She wears the crown of spiraling horns, and the Aries ram sits to her left. In the journey of the Zodiac, Aries is the new beginning: one cycle has completed, and a new one readies to begin. The spiraling horns signify a maturity, a ‘royalty’ earned on the Spiral Road of initiation. Look closely (unusually, I’ve repeated the same image twice so you can see it more easily). She holds an orb-shield painted with interwoven circles, symbolizing her awareness of the interconnectedness of Life — a more wholistic perspective gained from her experience crossing the desert valley. In her right hand, she holds a scepter topped with a crystal, symbolizing a new clarity of mind and a new mastery that she has earned through experience, through gnosis — the knowledge and wisdom based in her own experience. With this awareness and experience, she is more grounded, centered, spiritually mature, and dignified. She can now move through life with a newly earned depth and grace. 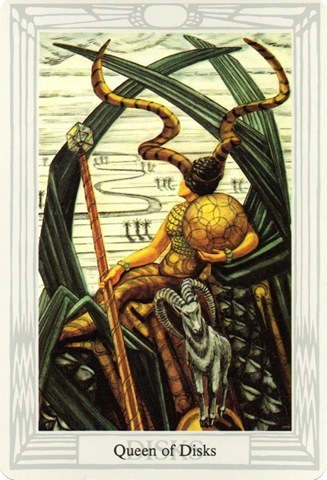 Because she is a Queen of Disks, which represents Earth, her orb and scepter speak to her new mastery being rooted in ‘down to Earth’ experience, and her awareness that she is connected with the energies of Mother Earth and the ‘greening’ energy of Nature. She now knows that it is this ‘greening energy‘ of Nature, of the Feminine, the very Shakti of Life itself, that allows life to be rich, fertile, and abundant rather than the barren wasteland of the wounded Masculine in the Grail. Being a Queen, she represents the Feminine, having learned through her journey how to navigate using the Feminine gifts of the Empress and the Priestess. From this different perspective, she sees that the barren valley, the desert, is ‘greened’ through the presence of the Feminine and action that is based in connectedness and alignment with the laws of Nature. Her meandering path through the desert valley might now be seen, with her expanded perspective and wisdom, as a potential riverbed through which waters might flow to bring a new fertility to what has lain barren and dry. 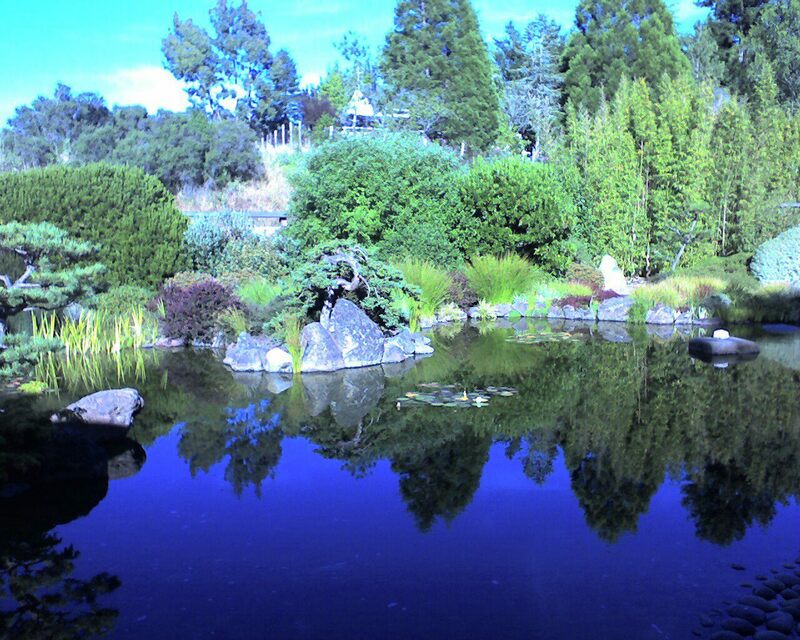 Osmosis Zen Garden in Sebastopol, CA. Photo by Jamie Walters. She reminds us that our time of seeming standstill allows us to restore, integrate, take stock of our journey through the desert, and ‘gather the pearls’ of the new perspective and mastery we’ve gained, knowing that these give a renewed fertility and abundance as we begin a new cycle on the spiral of Life. From Leo Tolstoy’s writings, this is what he learned, too, as he opened to a new, more vibrant awareness that gave new meaning to his life. If you’re feeling like you’re at a standstill, in the ‘in between’, the remedy is homeopathic — like heals like. Stand still, and let the ‘greening energy’ gather around you, renewing your vision and guiding you into authentic, inspired, and meaningful action. Sometimes not doing is the right action, and standstill is the right place. You’ll find related inspiration just below in the ‘similar post’ recommendations (which are random! ), or in another Sophia’s Children archive post, Wu Wei and the Blasphemy of Not Doing. Even seemingly wee bits of support add up to a great help in keeping the labor of Love flowing — including the freely offered inspiration (and no annoying third-party advertising or endless pop-ups) here at Sophia’s Children. THis post struck home for me today. I am in that in-between, and feel a coming burst of new life. Sophia’s Children is an amazing site, and I invite you to peruse her archives for a wealth of information. Enjoy. Great day for great posts! All your posts are inspiring to me and my readers, we need to spread the messages and share together. There is no right or wrong, there is only what you feel is right for you. Keep up the great work! I forgot to mention that I often do repost but by copying and pasting and adding your link of course, this time I didn’t have time to do this, so it was easy to just click on the reblog button. Your posts are getting through.